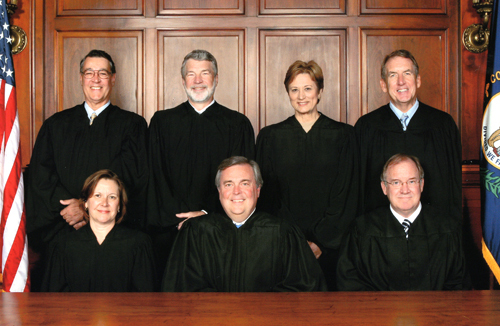 The Kentucky Supreme Court has let stand a ruling from the state Court of Appeals upholding the state’s right to acknowledge God in Kentucky’s homeland security law. The organization American Atheists filed a lawsuit in 2008, claiming that the ordinance, written in part by Representative Tom Riner, a Baptist pastor in Louisville, violated the Constitution’s Establishment Clause. The section written by Riner noted the state’s “reliance upon Almighty God” for the “safety and security of the Commonwealth.” As soon as the statute was signed into law, American Atheists stepped in to strike it down. The following year, Franklin Circuit Court Judge Thomas Wingate agreed with American Atheists, ruling that the homeland security ordinance was an infringement of the First Amendment and the Kentucky State Constitution. “The statute pronounces very plainly that current citizens of the Commonwealth cannot be safe, neither now, nor in the future, without the aid of Almighty God. Even assuming that most of this nation’s citizens have historically depended upon God, by choice, for their protection, this does not give the General Assembly the right to force citizens to do so now,” he wrote. However, when the state appealed the ruling, the Kentucky state Court of Appeals found nothing wrong with the homeland security statute. “The Kentucky legislature has not attempted to compel belief or participation in any form of religious exercise, nor does it seek to prefer one belief over another. A simple reference to a generic ‘God’ acknowledges religion in a general way,” wrote Judge Laurance VanMeter, who was joined by Judge Thomas Wine. They noted that in other states, such as Ohio, mottos such as “With God, All Things Are Possible” has been deemed constitutional, and therefore, simply acknowledging God is not an infraction of the Establishment Clause. Judge Ann O’Malley Shake dissented. American Atheists then appealed the ruling up to the Kentucky Supreme Court. This week, the court declined to hear the case, which means that it wished to let the appeals court ruling stand. Edwin Kagin, who serves as the national legal director for American Atheists says that he is disappointed by the ruling. “What’s really frightening about this is it’s increasingly clear that these people want to establish the Christian religion, and they’re getting more and more blatant about it all the time,” he stated to reporters. However, Judge Roy Moore, whose legal organization, Foundation for Moral Law, filed an amicus brief on behalf of 35 Kentucky senators who believed the law should be upheld, applauded the Kentucky Supreme Court’s decision. Moore had argued in the case that the Establishment Clause only prohibits “respecting an establishment of religion” so as to avoid preferring one Christian denomination over another. He stated that the constitutional clause could by no means ban acknowledging God altogether, since America’s founding fathers often regarded God in their writings, speeches and legislation. “Neither the words of the First Amendment nor their meaning have changed, and all judges ought to apply the original meaning of those words when interpreting the Constitution,” Moore outlined. “As the Kentucky Court of Appeals and now the Supreme Court affirmed, the Kentucky Homeland Security law does not establish a religion, but acknowledges God in a perfectly constitutional manner.